The Hanmer Valley Shopping Centre has always had character. The following articles will give you some idea of how this character has developed over the years. As you read stories you will soon discover that the Hanmer Valley Shopping Centre is much more than just a place to purchase goods and services. 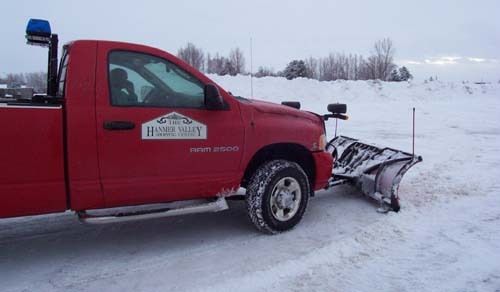 Val Mazzuca, owner of the Hanmer Valley Shopping Centre has always been proud of the condition of his parking lot, especially during the winter months. However, it doesn't take care of itself. Whenever the weather forecast is for snow, Val will be up at 4 a.m. to the conditions outside. 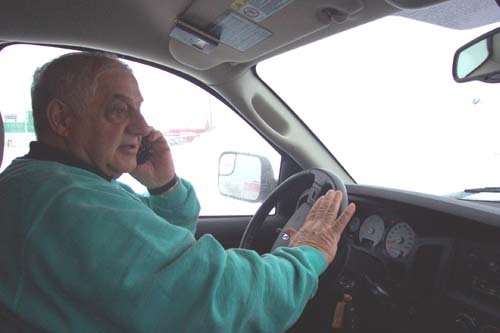 If there is even a trace of snow on the ground, he and his cleaning crew will find themselves behind the wheel of plowing equipment by 5 a.m. in order to have the lot clean and ready for customers who begin to arrive anytime after 8 a.m. 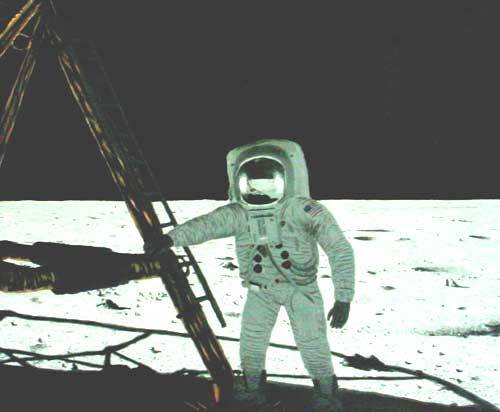 In order to accomplish the task in as short a time as possible, the crew requires a great deal of team work. Jim Curry, Dan Souliere, John Lancia, Larry Pharand and Val have been working together long enough that they seem to know exactly what each other is doing all of the time. 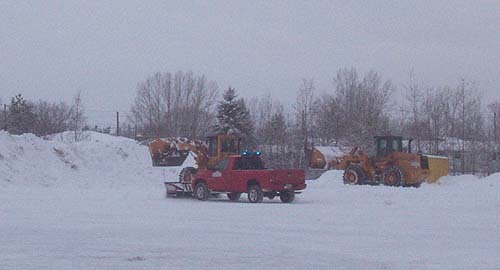 Once the snow is removed from the main parking lot area to the spare lot, it is then piled up to make room for the next snowfall. 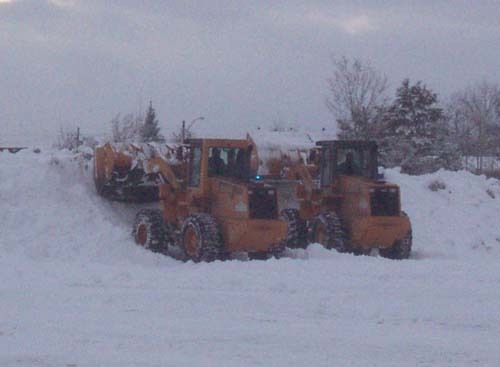 When winter storms hit the area, it is not unusual to see the equipment in use for as many as 15 to 20 hours at a time as the men take shifts and do what has to be done to get the task completed. 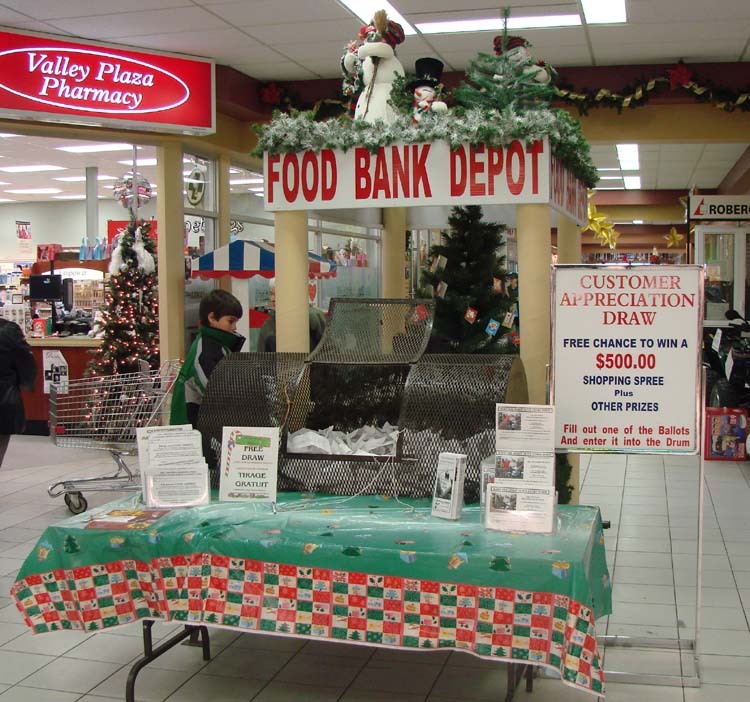 The familiar FOOD BANK DEPOT is in place at the Hanmer Valley Shopping Centre just outside Desjardins' Food Basics. Each year the mall assists the Good Neighbours Food Bank of Hanmer in making Christmas just a bit more special for needy families of the area. The Toys For Kids Gift Tree contains "tags" with ages of boys and girls from families who depend on the Food Bank. Shoppers are encouraged to purchase a suitable gift and then leave it "unwrapped" inside the Food Bank Depot so that a representative of the Good Neighbours Food Bank can pick it up and make sure that it is received by a child in time for Christmas. The depot is also encouraging shoppers to leave items of food which will help stock the shelves of the Food Bank during this important time of the year. 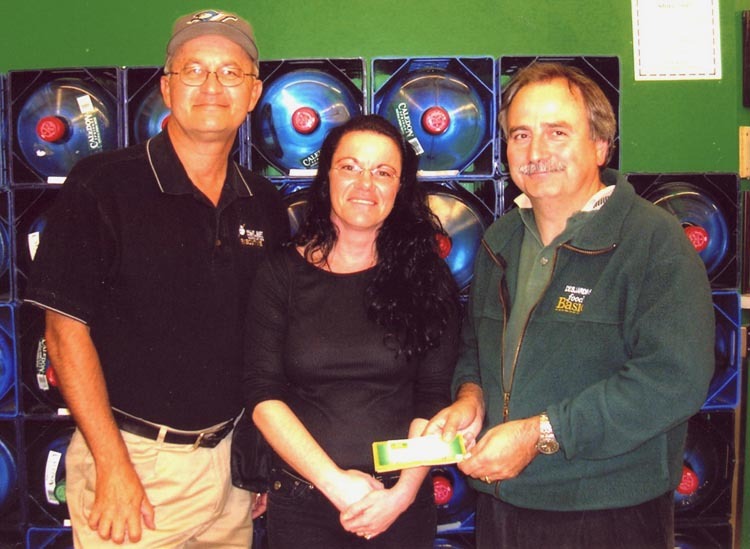 Garry Shyminsky, on the left, and Ken Desjardins, owner of Desjardins' Food Basics in the Hanmer Valley Shopping Centre, congratulate Patty Crites, the winner of the Valley East Minor Baseball "Win Groceries for a Year" contest which was drawn on September 16, 2006. The Valley East Vipers Baseball teams would like to thank Ken Desjardins and Desjardins' Food Basics for all the help and support this past baseball season. 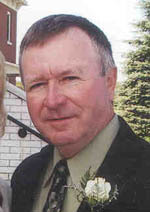 The "Keep The Spirit Alive Contest" was only introduced to the community during the month of June, and already it is picking up momentum as residents not only like the idea of winning valuable prizes, but they also are thrilled about the fact that they can do their small part to help improve the overall community spirit in Valley East. 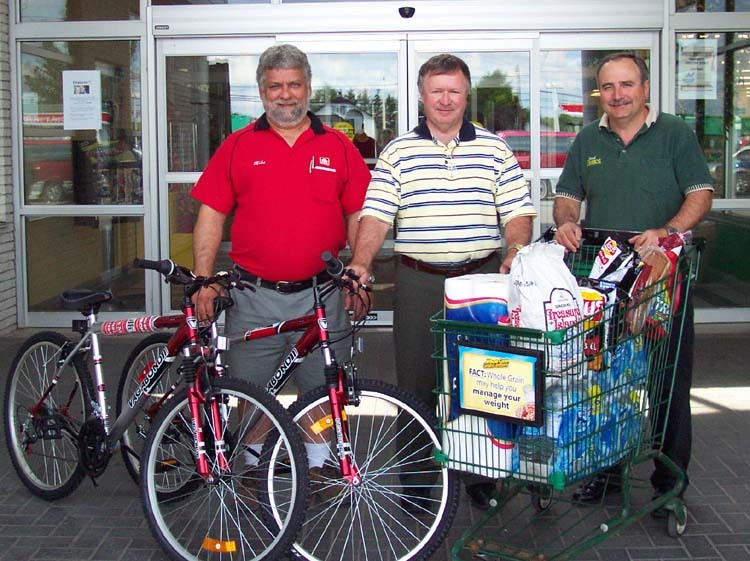 From left to right in the photo: Mike Lemieux, owner of Hanmer Home Hardware, Robert Kirwan, Publisher of the Valley East Today Community Web Site and Online Weekly News Magazine, and Ken Desjardins of Desjardins’ Food Basics announced the launch of the campaign during a press conference which was held at the Hanmer Valley Shopping Centre. Runners up will receive other valuable prizes, including “two” mountain bikes donated by Hanmer Home Hardware, $300 in groceries from Desjardins’ Food Basics, More prizes from other local merchants may be announced in the coming weeks before the contest ends. 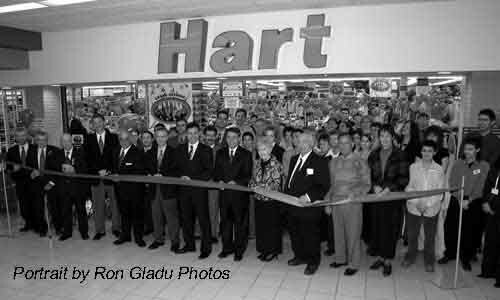 It was a very spectacular Grand Opening with plenty of dignitaries on hand for the Opening of the Hart Department Store at the Hanmer Valley Shopping Centre on March 30, 2005. 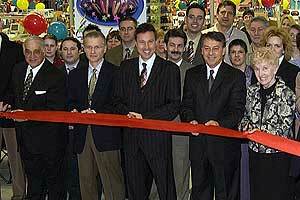 The Official Ribbon Cutting Party is shown above. 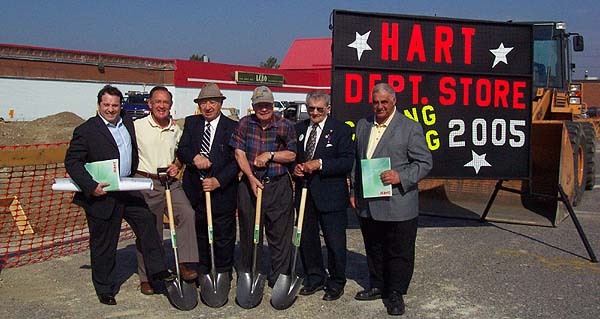 From the far left we have: Andre Rivest, Councillor of Valley East; Former Mayor Ray Plourde; Former Mayor Howard Armstrong; Current Mayor of the City of Greater Sudbury, Dave Courtemanche; Owner of the Hanmer Valley Shopping Centre, Val Mazzuca; Manager of the Hart Store, Rod Groulx; President and CEO of Hart Stores Inc., Michael Hart; Director of Store Operations for Hart Stores Inc., Michel Lussier; Co-owner of the mall, Violet Mazzuca; Former Mayor of Capreol and Regional Chairman, Frank Mazzuca; Former Mayor of Valley East, John Robert; and MPP for Nickel Belt, Shelley Martel. 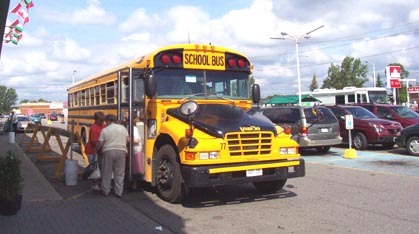 Ken Desjardins, owner of Desjardins' Food Basics began his twice monthly free bus transportation program from Capreol to his grocery store on Tuesday, July 11, 2006. A total of eight people took advantage of the service on the first day. Ken expects that the numbers will eventually peak at about 15 to 20 people over the next couple of months. For an indefinite period, on the SECOND and LAST Tuesdays of each month, a bus will bring shoppers to Desjardins' Food Basics, absolutely free of charge. Now that the Capreol Freshmart Store has closed, there are many people who will have difficulty finding transportation to do their shopping, so Ken has decided to extend this free bus service for as long as there is a demand. The bus will pick up at the Capreol Curling Club at 10 a.m. From there it will proceed to the C.N. Yard, Dennie Street , Coulson Street , and then make one stop at Christa Court in Hanmer, before arriving at Desjardins’ Food Basics at approximately 10:30 . The bus will depart from the mall at 12 noon , returning to the same stops. This will give people 90 minutes to do their shopping. Once again, this service will continue on the SECOND and LAST Tuesdays of every month. 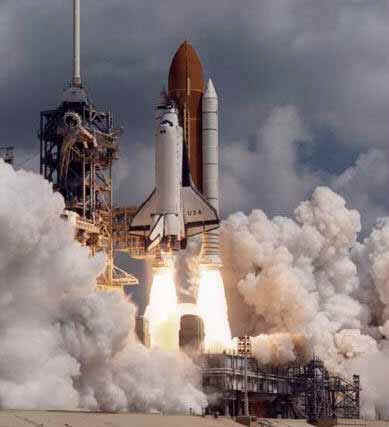 The next scheduled run is Tuesday, August 8, 2006. Tina Bouffard, owner of Billie Jeans and Del Nellyn's Ladies Wear in the Hanmer Valley Shopping Centre, spends a few minutes chatting with Ross Anthony during her three-day Annual Half-Price Sale which was held from August 11 to 13. Ross is better known as the host of the Big Breakfast on Big Daddy with his co-host, Carrie-Ann. 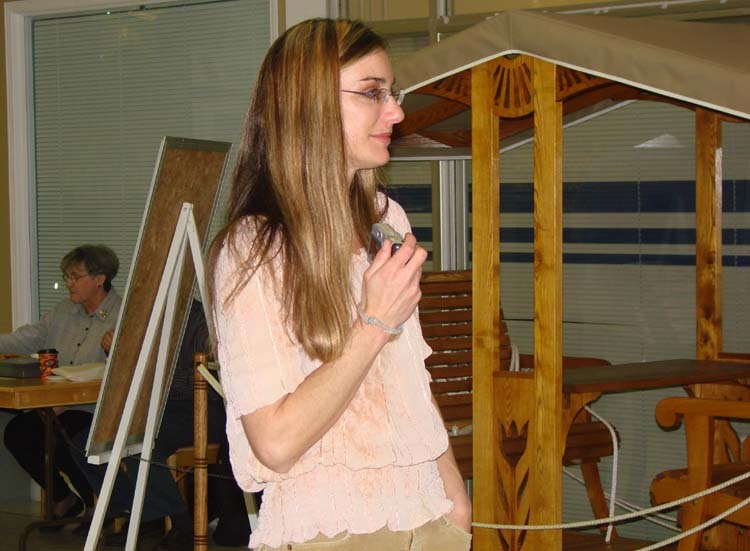 During the four-hour remote promotion, special reports were aired on the radio station providing listeners with information about the big sale being held at Billie Jeans and Del Nellyn's Ladies Wear. 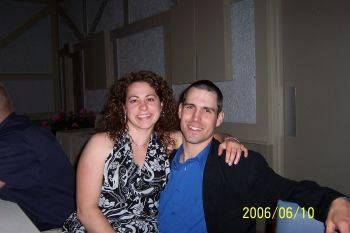 Miryâm Lapierre-Giguère, shown in the photo with her husband, Eric, grew up in Azilda, and moved down south for 6 years due to employment. "When the opportunity to move back to came knocking, my husband and I jumped on it," she explained. " I never envisioned myself living anywhere else but Azilda. As we started house shopping we couldn’t find what we were looking for in Rayside Balfour. We decided to expand our search for houses. Little did we know how amazing the Valley was." What impressed both Miryam and Eric was the fact that there were so many beautiful houses from which to choose and so many quiet neighbourhoods. "Even though the neighbourhoods are so quiet, everything is at your finger tips," she stated. " Sudbury all the time is so wonderful." She continued, "We decided to buy our first home in Val Thérèse. The people here are just amazing. They are welcoming and ready to lend a hand if needed. I love the way every neighbour looks out for each other. I feel safe in my home in the valley. 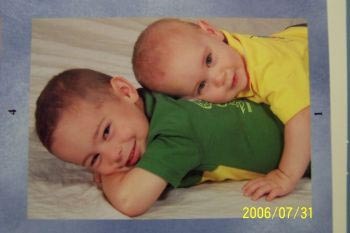 My boys always enjoy going to the park or the recreation centre. There are always things to do. My family and I are francophone. I find it very pleasant to go do my groceries and daily errands and always have someone around that speaks French. Now with the new Canadian Tire being built, there is honestly no reason to ever leave the Valley. We never envisioned living here, but now that we are here we can’t see ourselves living any place else but Valley East." Miryâm suggested that even though there is so much good to be said about the Valley, she hopes that something is done to keep the parks a bit cleaner. In fact, Miryâm echoed the comments of many other parents with young children who have also expressed concerns about the condition of the parks. She stated, " There is often lots of garbage and broken glass, and most of the time it takes a few phone calls to the city to finally get it cleaned up." Besides the park issue, when asked for other suggestions on how to improve the community to make it even more pleasant for people like the Giguère Family, all she could think of were the following, " My three year old son would like for me ask Mr. Desjardins of Desjardins' Food Basics to get small grocery baskets or baskets with three holes to fit both my boys so they can shop along with their mom. That would also make my shopping experience more enjoyable. I also think all signs in the mall and everywhere in the Valley should be bilingual. Besides that there isn’t much else I would change about the Valley. I think everyone in Valley East is doing their part and doing a fine job of it, to make this the best place to live in the City of Greater Sudbury." Claude Chenier, owner of the Valley Plaza Barber Shop, is shown taking care of one of his clients while all other chairs in the establishment are filled. The Valley Plaza Barber Shop is one of the most popular hair care centres in Valley East, due in large part to the attention Claude, his wife Linda and their entire staff pay to customer service. 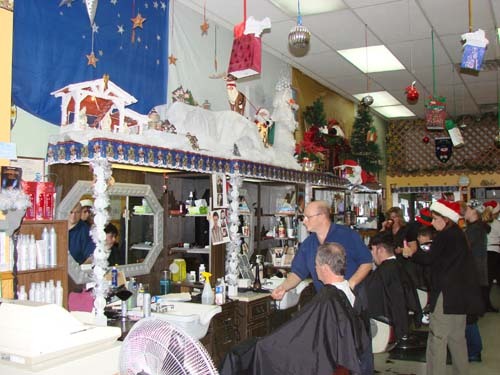 The Valley Plaza Barber Shop is always decorated according to the season, making this a welcome place to simply stop by and share some conversation with friends. Check out the decorations next time you are in the Hanmer Valley Shopping Centre or call 969-4020 for an appointment. 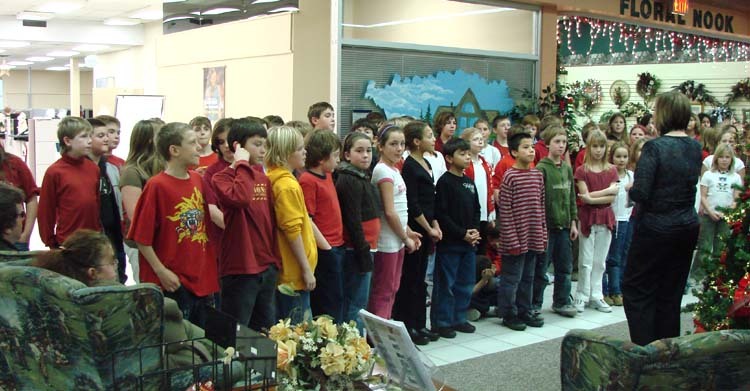 Visitors to the Hanmer Valley Shopping Centre were treated to some wonderful singing by close to 70 Grade 5 students from Redwood Acres Public School on Thursday, December 14, 2006. 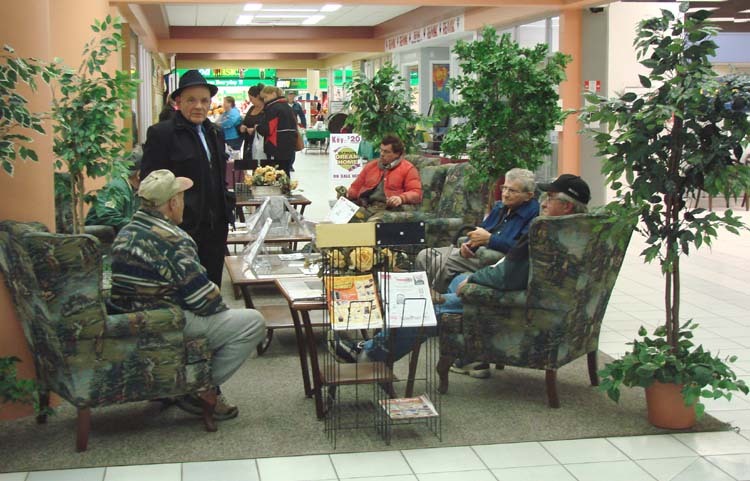 The students stopped by the mall after first entertaining the residents at the Elizabeth Centre in Val Caron. Before arriving at the mall, however, they did make one very enjoyable stop at Harvey's in Val Caron. 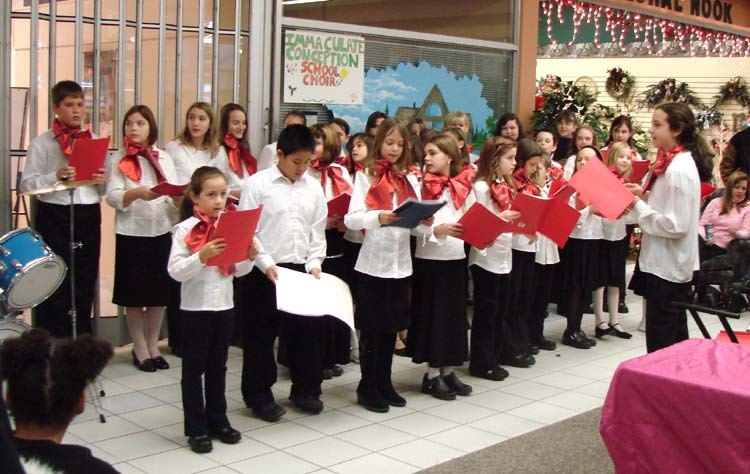 Grade 5 Teacher, Mrs. Kaitlin Lemega watched as her students as well as those from Ms. Nadene Houston's and Carole Burke's classes sang for almost 30 minutes in the centre court area of the mall. The very well-behaved and polite students were great ambassadors for Redwood Acres. Everyone in the mall who heard them commented on their tremendous self-discipline and on the way they handled themselves while in this public venue. After the show was finished, many of the students took time to say hello to one of the most attentive listeners in the audience. 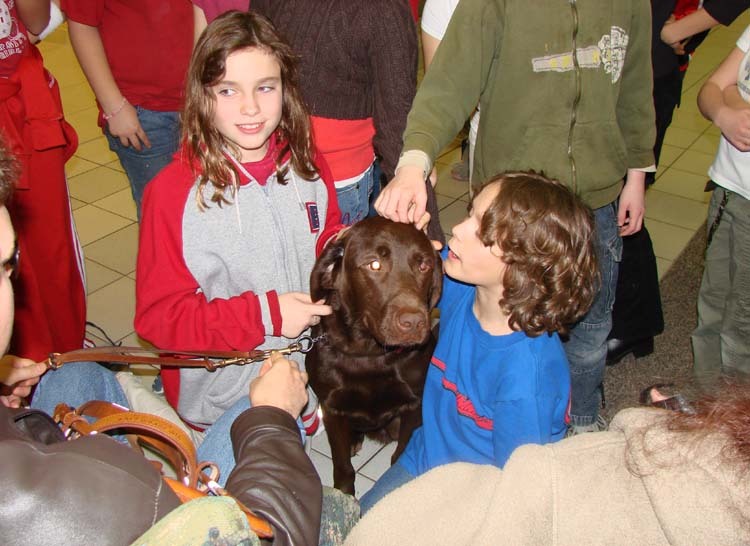 Below, several of the students are shown with Klondike, a seeing-eye dog who accompanied one of the visitors. 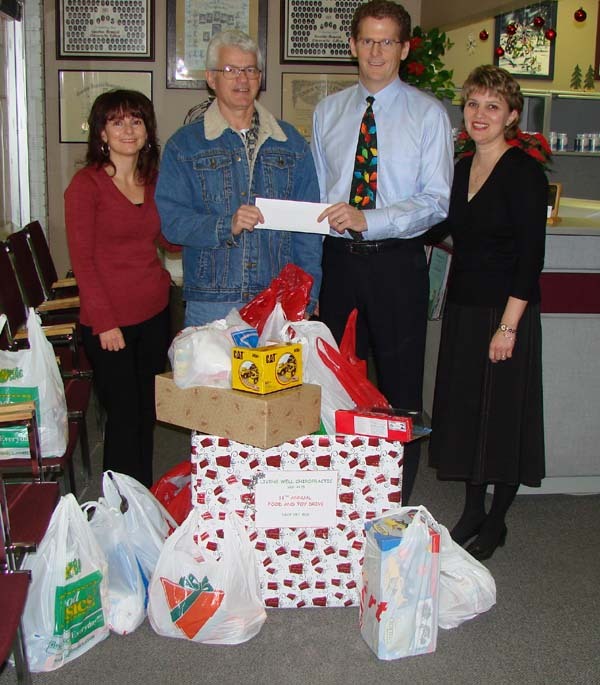 Wayne Nepssy, 2nd from the left, gratefully accepts the donations of cash, food and toys from Dr. David Welsh and Dr. Ghislaine Landry of the Living Well Chiropractic Office in the Hanmer Valley Shopping Centre. Sandra Paquette, one of the two office assistants (Nadine Dussault was absent when the photo was taken) is shown on the far left. 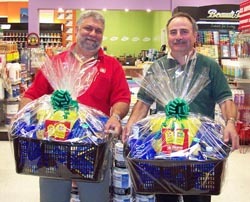 The donations were accepted from patients during the week of December 11 to 14. "Our food bank depends on annual drives such as this in order to stock up our shelves so that we can provide for the needy during the winter months," explained Nepssy. "Some of these donations will be given out during the holidays. 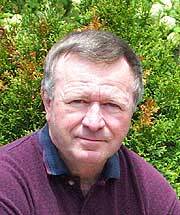 The help and cooperation we receive from Living Well Chiropractic is very much appreciated." 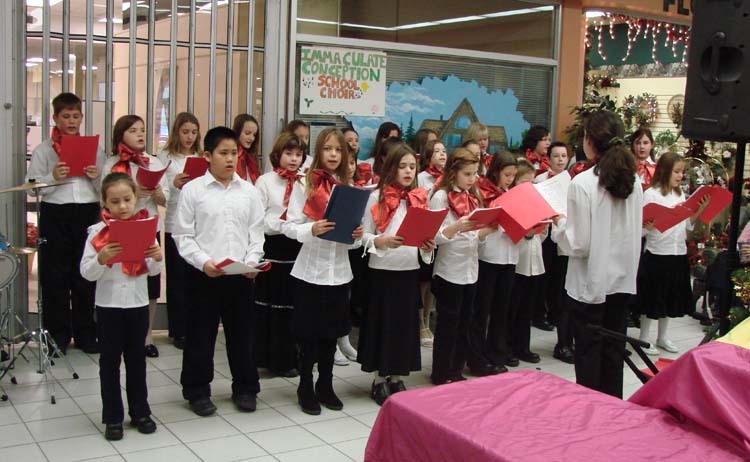 Mr. Luciano Ingriselli, Core French Teacher at Immaculate Conception School in Val Caron, is shown below playing his guitar to accompany the Grade 4 to 6 students who turned out on the morning of Saturday, December 16, 2006, to sing Christmas carols at the Hanmer Valley Shopping Centre. 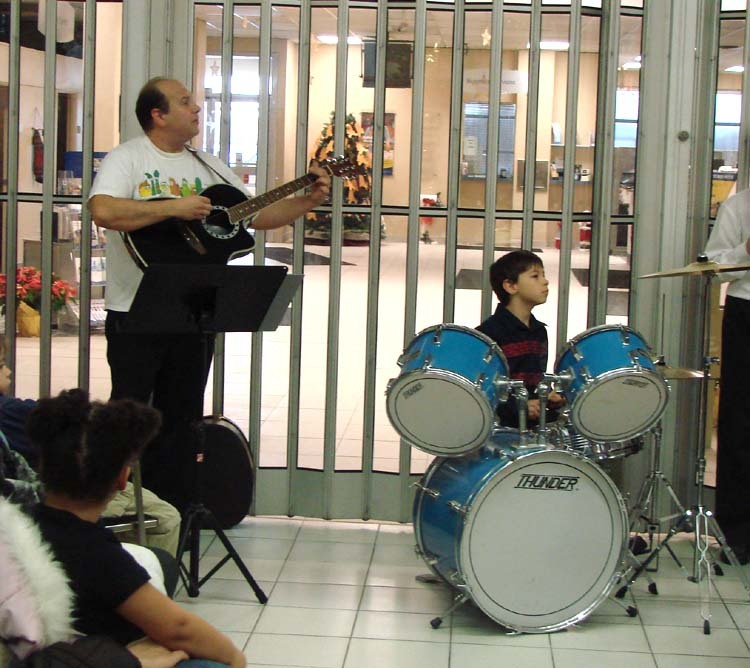 The guitar and the drums were perfect accompaniments to the beautiful voices of the children as they entertained dozens of parents, grandparents, brothers and sisters, and shoppers who took time from their busy routines to enjoy the music. 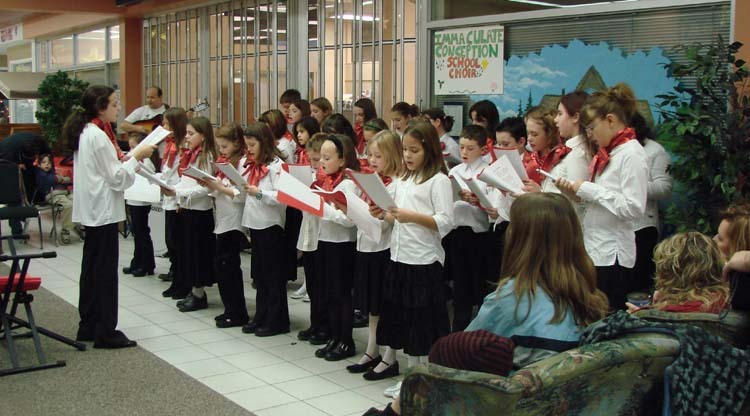 The students form the School Choir. It was obvious to everyone that they came well-prepared. 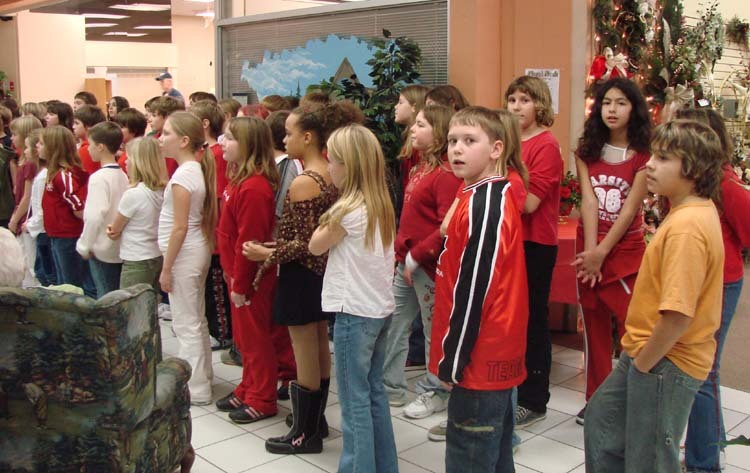 Their voices projected down the busy corridors as shoppers and merchants alike welcomed their wonderful contribution to the "Spirit of Christmas" on one of the busiest shopping days of the year. Two reporters from the Sudbury Star set out on a special project to find out where we would rank against other major cities of the world in the area of courtesy and politeness. Their motivation was a study released by the Readers' Digest in July which compared 36 cities around the globe. Toronto came third behind New York City and Zurich, Switzerland. 1. They walked into the building behind people to see if they would hold the door open for them. 2. The bought small items from different stores and recorded whether the sales assistants said thank you. 3. They dropped a folder full of papers in different locations to see if anyone would help pick them up. At each location, each of the above was performed four times. Each act of politeness was given a score of 1 with a 0 recorded if there was no act of courtesy shown. A perfect score was 12. Downtown Sudbury came out in first place with a score of 11 out of 12. The Hanmer Valley Shopping Centre was a close second. Overall, the City of Greater Sudbury came in with a combined rate of 75% which would have placed us ahead of Toronto in 3rd place when ranked with the 36 other cities in the world. 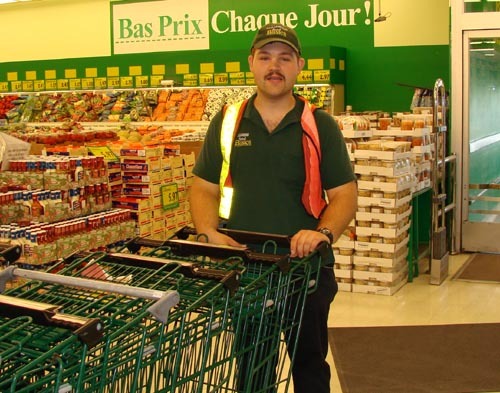 Chad Salemink, 24, is an employee of Desjardins' Food Basics. Chad's job is to collect and return shopping carts from the large parking lot outside and bring them back into the store for use by the close to 20,000 customers who come through the doors of the popular grocery store every week. 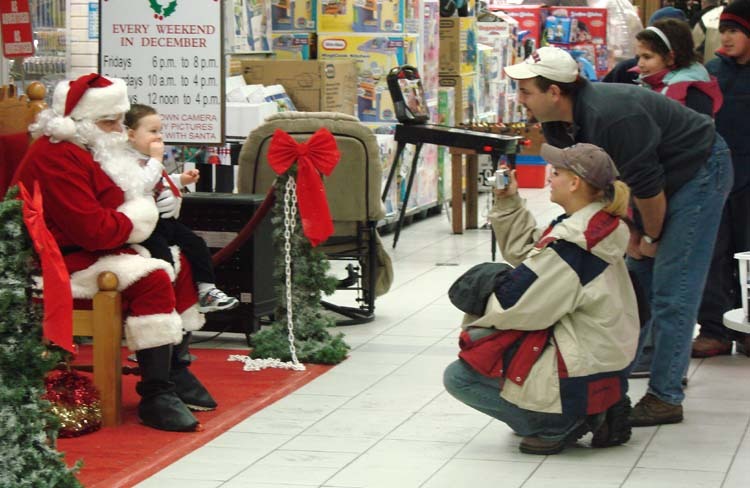 In his role, Chad comes into contact with hundreds of visitors to the mall every shift. If you follow Chad around you will see that he never hesitates to hold open doors, say excuse me, or demonstrate courtesy to people of all ages. In addition, Chad is quick to acknowledge others with a smile and a wave. Doing these "little things" comes naturally for Chad, as it does with so many of the store clerks and merchants of the mall. And in the hectic world in which we now live, it is definitely the little things that count. Chad was recently featured in a special article in The Sudbury Star on July 10, 2006 for his success in the Building Bridges Program which is offered by Cambrian College to help students with developmental disabilities learn to find their way on their own. When he was young, doctors told his mother Colette that his developmental disabilities would prevent him from ever learning to read, write or ride a bike. Chad's determination proved the doctors wrong and he can now read at the Grade 5 level in French, the Grade 6 level in English and can definitely ride a bike. He also used the internet and communicates via email just like the rest of us. After high school, Chad qualified for the Bridges Program at Cambrian and with a lot of hard work and continued determination finished with a 4.0 grade point average. The one-year program brought out a sense of confidence and independence in Chad that is shown in everything he does. 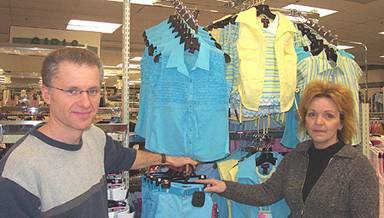 "I really want to thank Ken and Sandra Desjardins' for giving me a chance to work at their store," Chad stated. "I love what I do and enjoy meeting so many nice shoppers. They have been really good to me and everyone is so nice around here." Well, Chad, on behalf of everyone in the community of Valley East, thank you for being one of the reasons why we are now known as one of the most courtesy areas of the region. 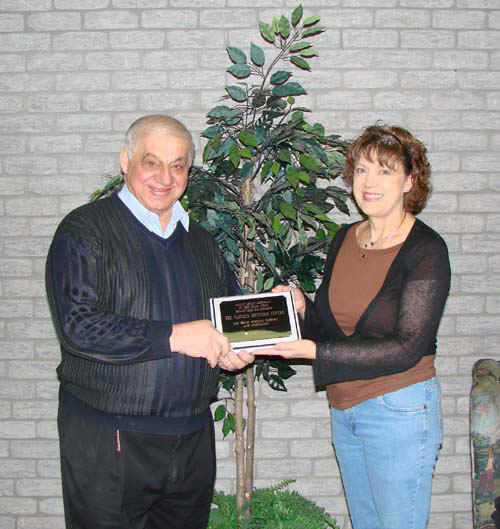 Dorice Dusty, Public Relations Director with Community Living Greater Sudbury is shown presenting Val Mazzuca with a special plaque of appreciation for the support the Hanmer Valley Shopping Centre has provided to the organization during the past several years. "We have always been so grateful for the way we have been treated by the Hanmer Valley Shopping Centre," explained Dorice. "Val Mazzuca simply cannot do enough for us. Every time we want to set up a display, or put something on the bulletin board, all we have to do is ask. It makes it so much easier to help our clients when we have the support of such a leader in the community like Val Mazzuca." The Community Living Greater Sudbury offices are now located at 303 York Street in Sudbury in the CNIB building. If you would like to speak to Dorice or if you have any questions you would like to ask, just call (705) 671-7181 Ext. 321. You can also visit their web site. The workplace wellness team from the Sudbury & District Health Unit was out in full force during January visiting the tenants of the Hanmer Valley Shopping Centre. 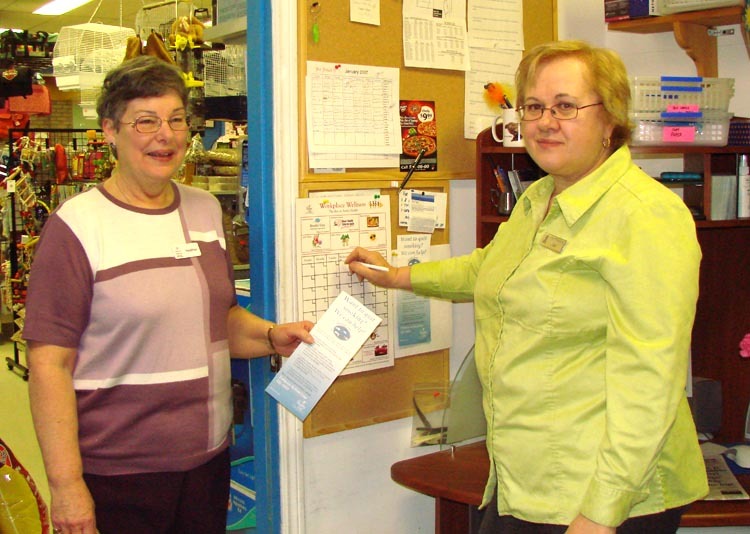 Above, Lisa Froemmel, on the right, owner of Pet Palace, is shown putting up the special Workplace Wellness Calendar that was provided by one of the Team Members who is responsible for visiting the mall every month. According to the Wellness Team, "The place where you work and the work you do can affect your health. How you feel can affect how well you do your job." The Workplace Wellness team provides opportunities for skill building, education and support or consultation. They also help employers create and implement workplace policies that reduce the risk of injury and promote the health of workers.